The wearable space which started with a small watch around your wrist to just calculate time has transformed over time. Watches transformed and today we have activity trackers which are one of the best inventions to keep track of our fitness and other activities. Smart bands aka activity trackers are one-stop solutions to know everything that is happening with your movement. From counting steps, the number of calories burned to how much you have travelled or walked to even keeping a tab on your sleeping pattern, it kind of watches everything. So why lead an unhealthy life when the way to fitness comes at ease. Entrepreneur India brings a list of fitness bands that can get the job done perfectly without burning a hole in your pocket. Latest in a series, Xiaomi Mi Band 3 has already become a reliable name in the fitness tracker industry. A touchscreen tracker with accurate step tracking. While it lacks a bit in battery compared to the previous edition but it is still worth it. Joining the fitness tracker league is Huawei, who is taking this space very seriously. 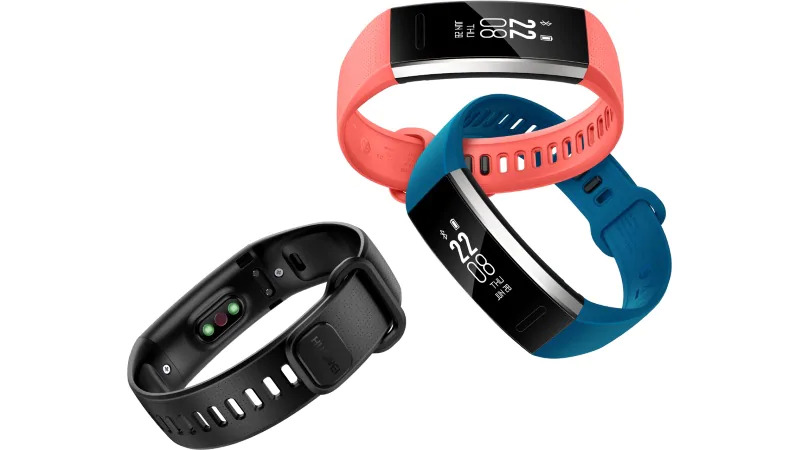 Huawei Band 2 Pro comes with features like GPS, step, sleep tracking, heart rate monitoring and impeccable battery life. The slim screen makes it also an ideal fit as running gear. It's accurate and meticulous measurement makes it a recommendation on our list. But at the same time, it's slim screen makes it a little tough to read the data when on move. The best tracker to swear by right now without a doubt. Well, no doubt it is expensive compared to the previous two recommendations and even compared to other Fitbit options. But then is it what it is and has its own charm. You can connect it with your phone for GPS and it also has an automatic wrist-based heart rate tracking to measure your calories better. That's not it, you can also see call, text and calendar notifications on the OLED display. Verdict: If money ain't an issue, this is a must-have. This one needs no introduction. Apple Watch Series 4 is the most expensive smartwatch available in India. It comes in two sizes and each has two variants to it. Coming in screen size of 40mm and 44mm, it lets you read notifications that you receive on your phone and even reply. What else? It has a tracking sensor, GPS. You also have a cellular version that connects you to your phone even when you are away. Well, it is heavy on the pocket and can get be used with an iPhone. You know how Apple works. Verdict: If Apple is your universe, you know why to buy this. Samsung truly knows where to up their game and how to make a chic watch. The Gear Fit 2 Pro has a wonderful design and makes a stunning style statement when on your wrist. The beautiful AMOLED display is yet another highlight, making you love it even more. Coming with a GPS built-in and heart rate sensor, it gives a pretty accurate metrics. In case you swim it also tracks your speed and time, well it couldn't have got better. Verdict: Well, the brand says it all.